Total Mail Converter is a new software utility designed for business persons, who have to do a lot of business correspondence on a daily basis. 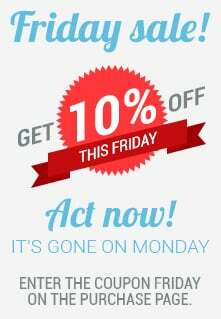 As they have to accept and send messages each day, they usually end up with too many emails in the client and have to remove them. Some of these messages may bear strategic significance and therefore should not be removed. Because most business people are too busy to figure out which letter should be sent to waste basket, they risk losing important information. Total Mail Converter will help you safely and conveniently archive your correspondence. 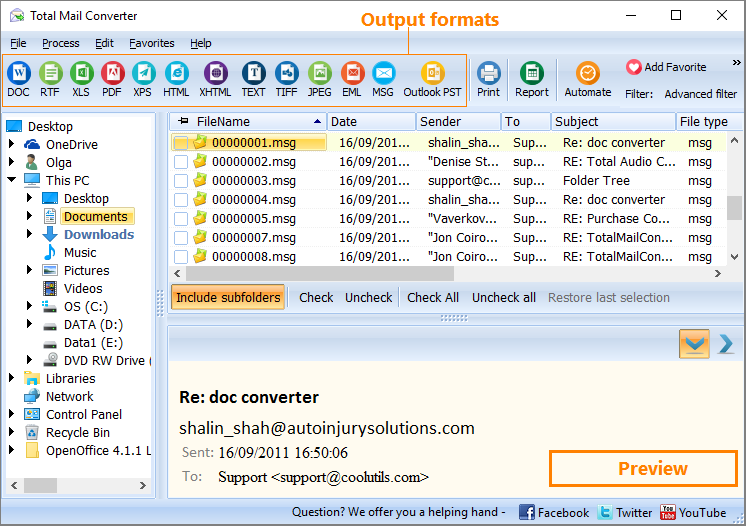 You can convert emails to TIFF, HTML, DOC, RTF, PDF and TXT. 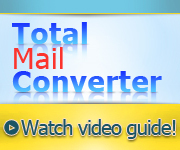 Total Mail Converter is one of the handiest and most powerful mail converters available on the software market. It has a user friendly interface, with all options and buttons readily visible. You do not have to be an expert to operate this tool. Usually, it takes minutes for a first time user to see how it works. The program features command line support, batch mode and a handy Wizard. It is very easy. 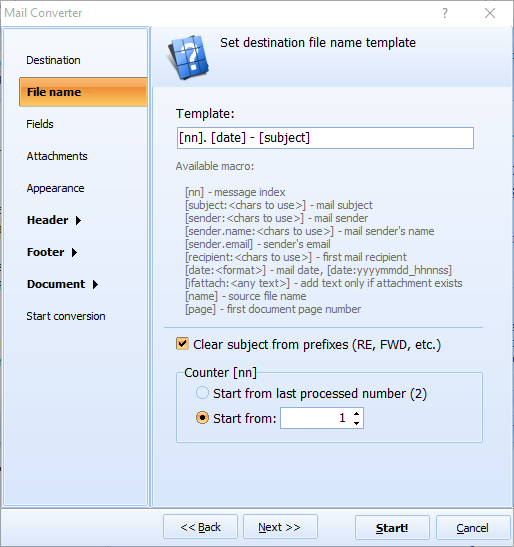 Launch the tool and select the folder with your messages. All the emails contained in it will be displayed in the main panel. You can either check one or a few emails or use batch option and check/uncheck all the messages at once. To check-mark all your messages, click Check All. Then click TIFF. The Wizard will help you select destination folders and fields to export, which include Recipient, Sender, Date, Subject and Body. There are also plenty of ways to handle attachments. 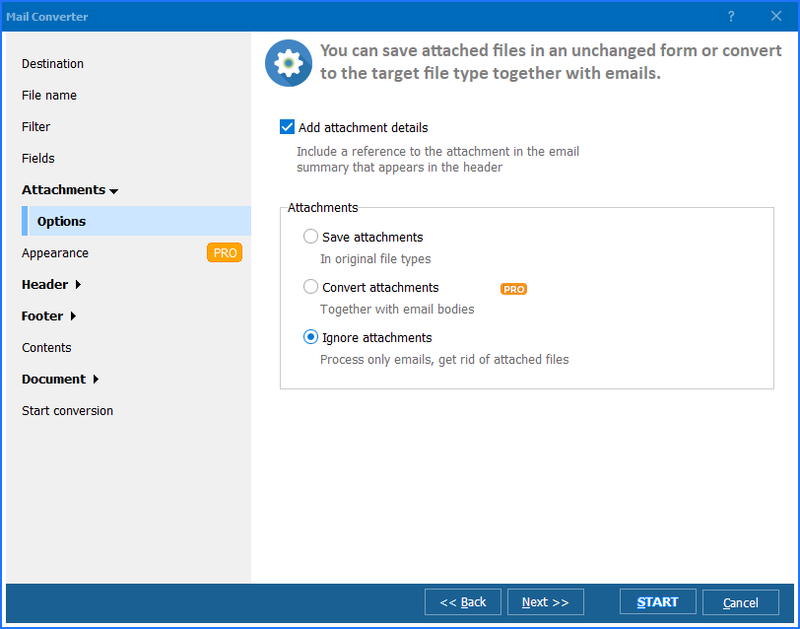 You can extract and place your attached files to any folder. When you have made your options, click Start to complete the procedure. Because Total Mail Converter integrates into Windows, you can convert MSG to TIFF right from the desktop. Just right-click on a file and select Convert to. Then select your target format and follow the Wizard�s recommendations. Total Mail Converter can be handled from within other tools via command line.